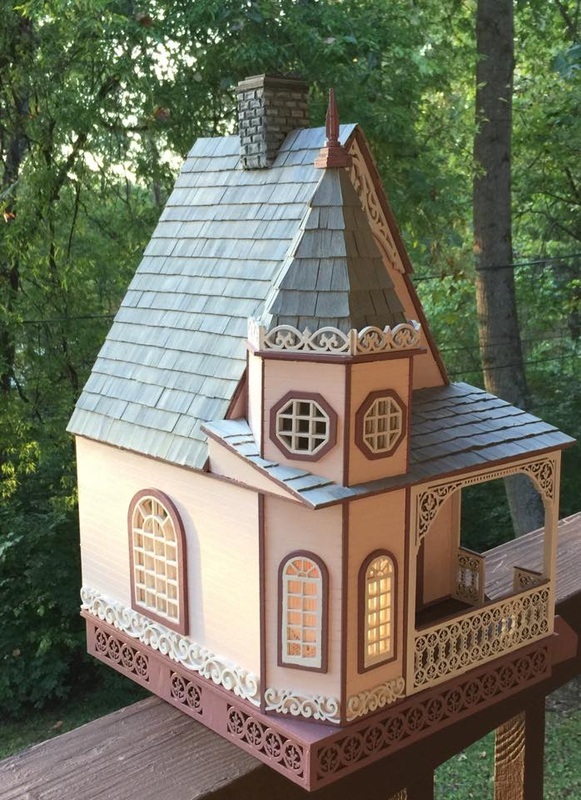 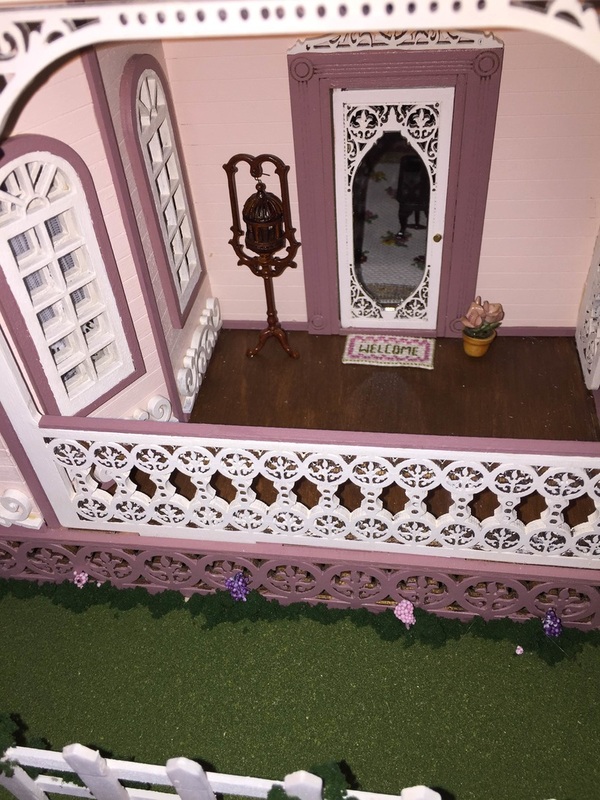 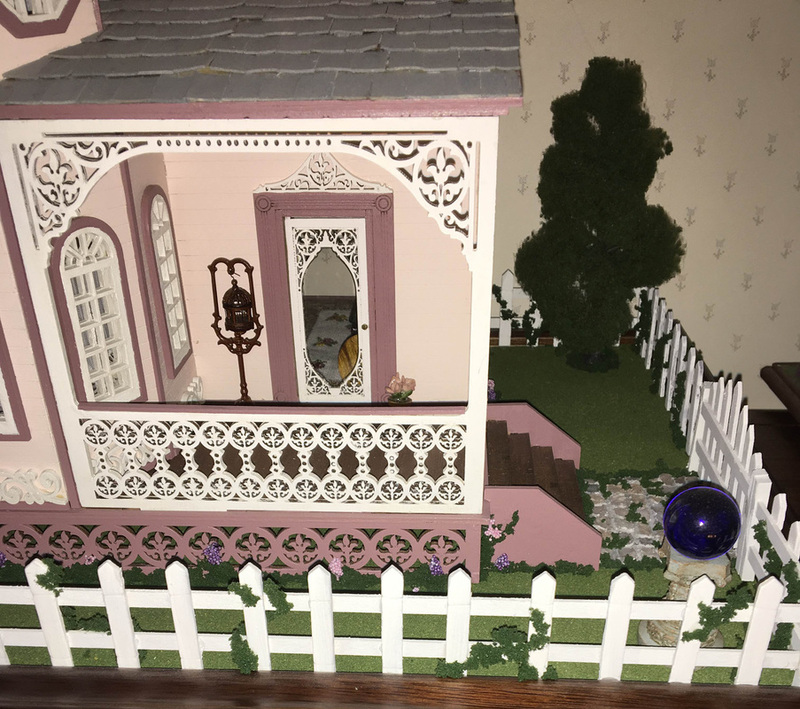 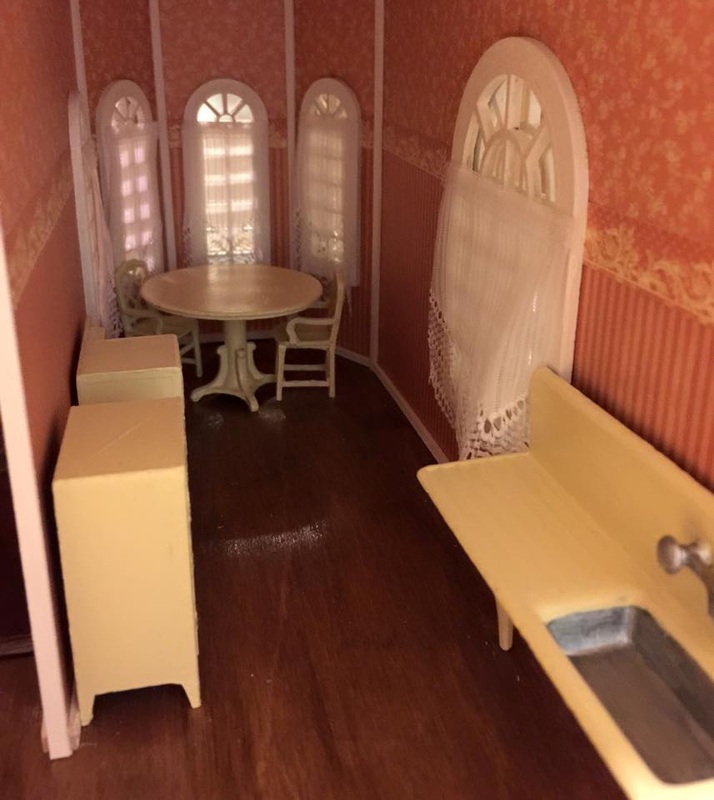 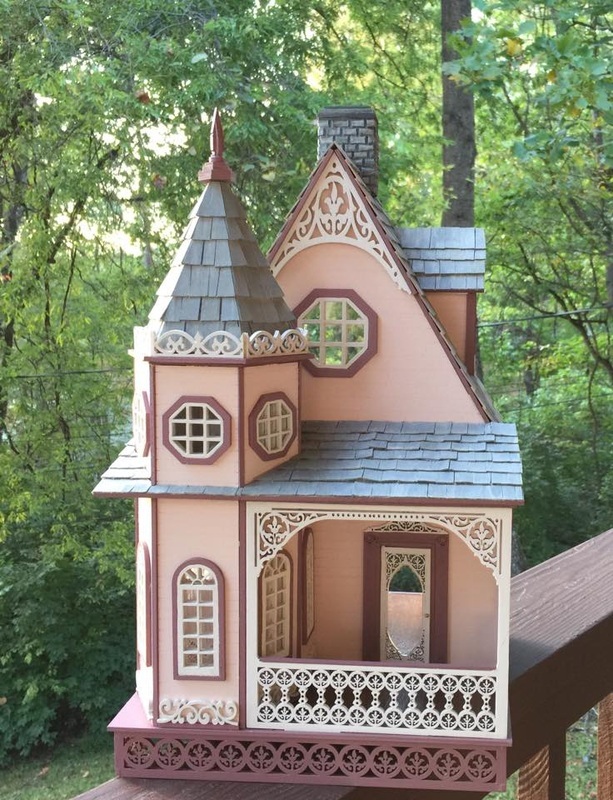 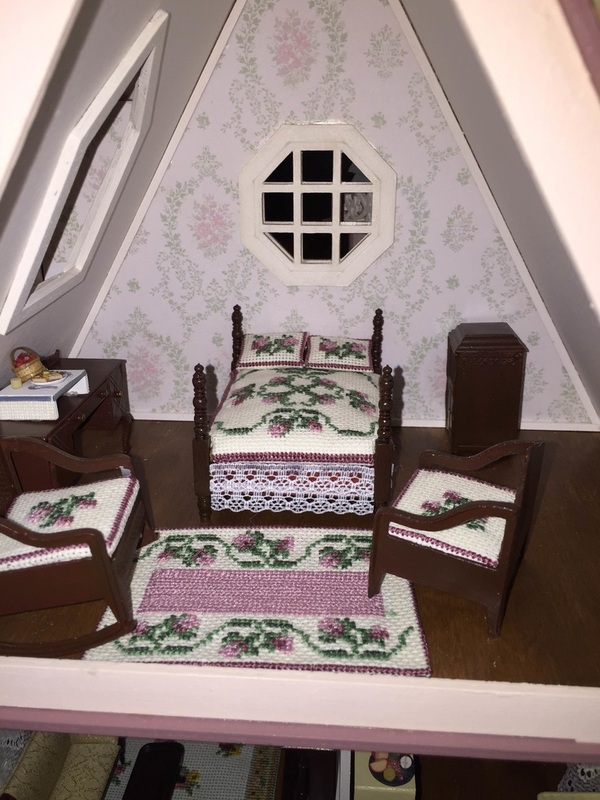 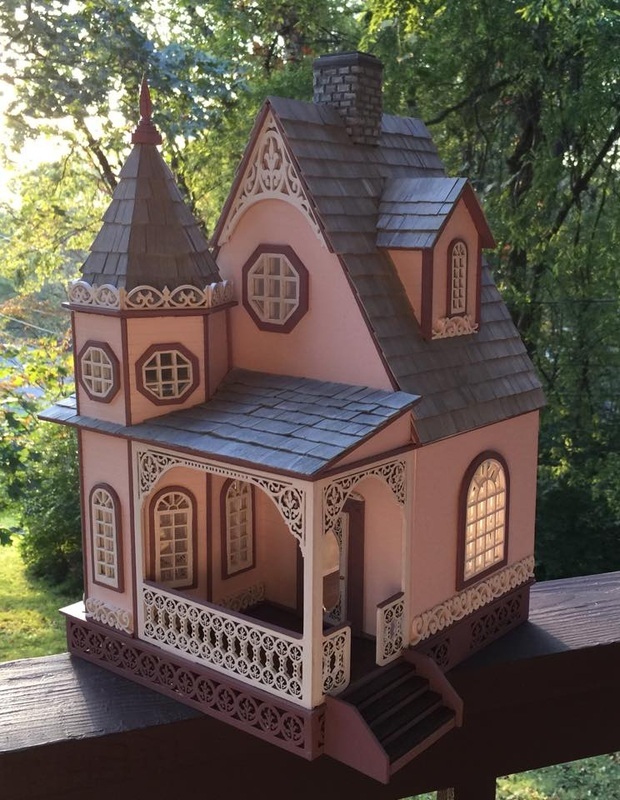 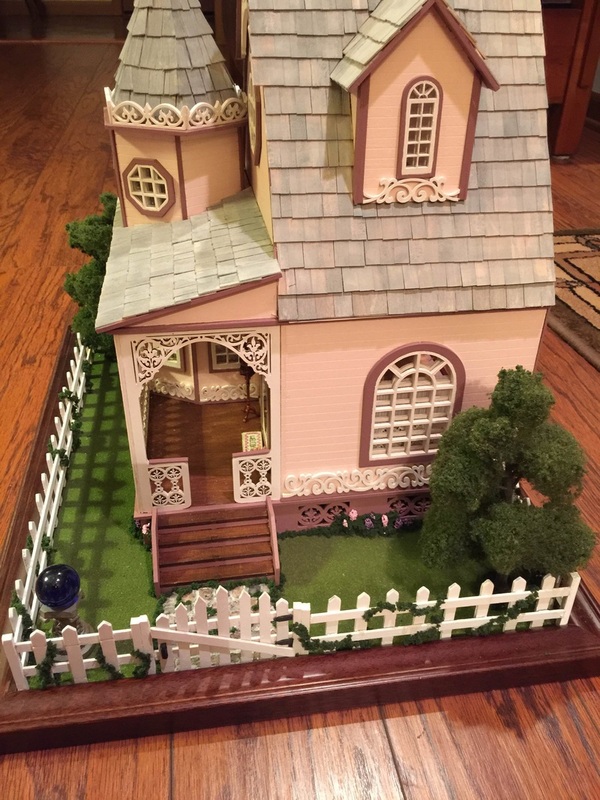 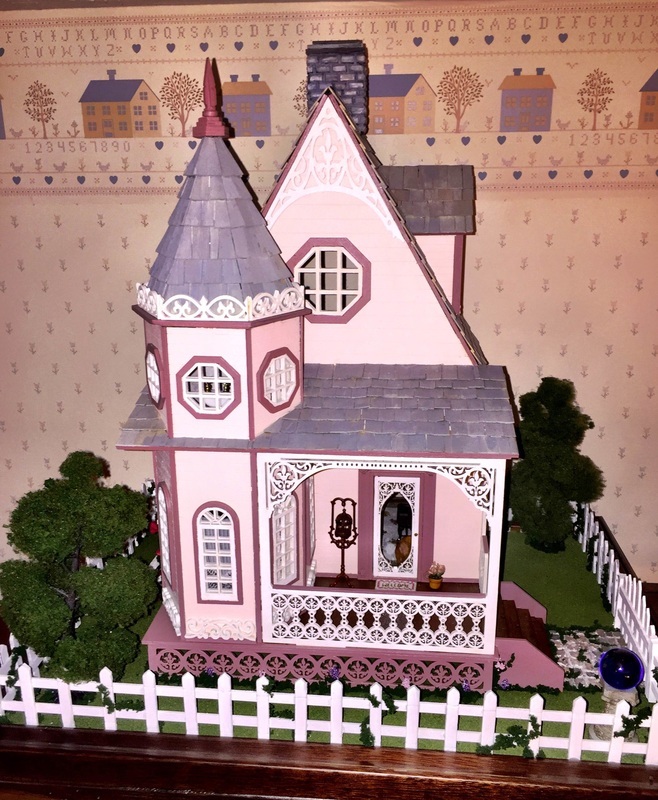 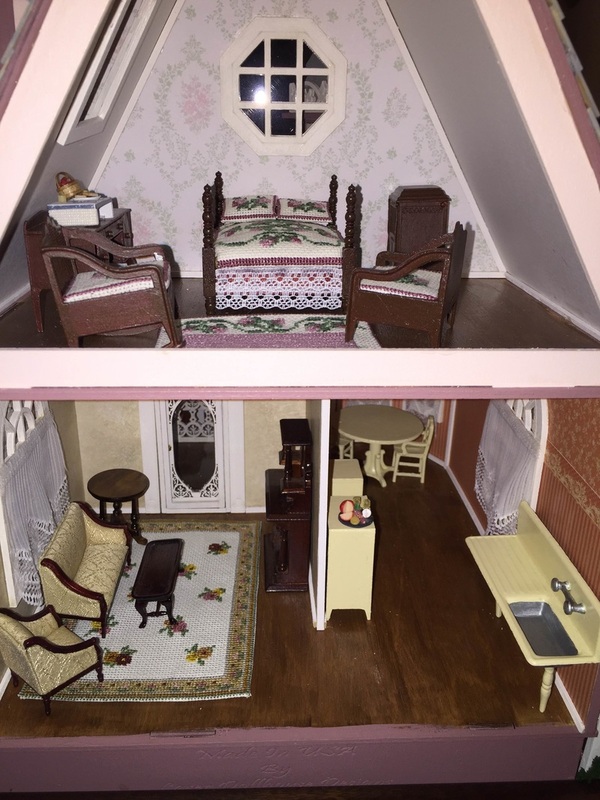 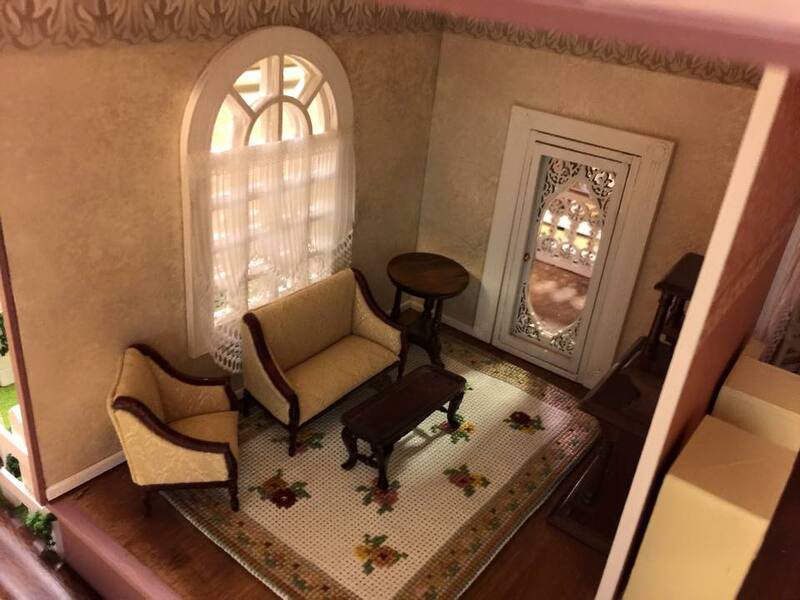 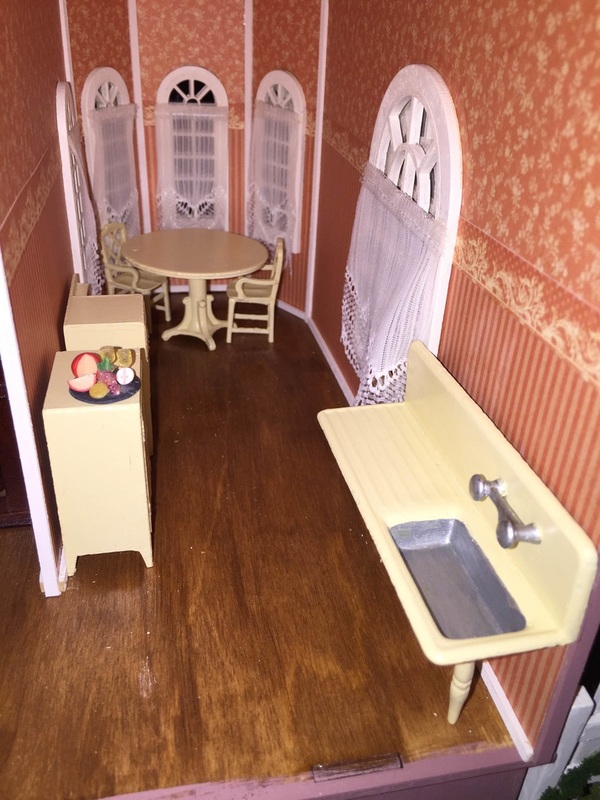 This little house was made from a kit by Laser Dollhouse Design, Inc. 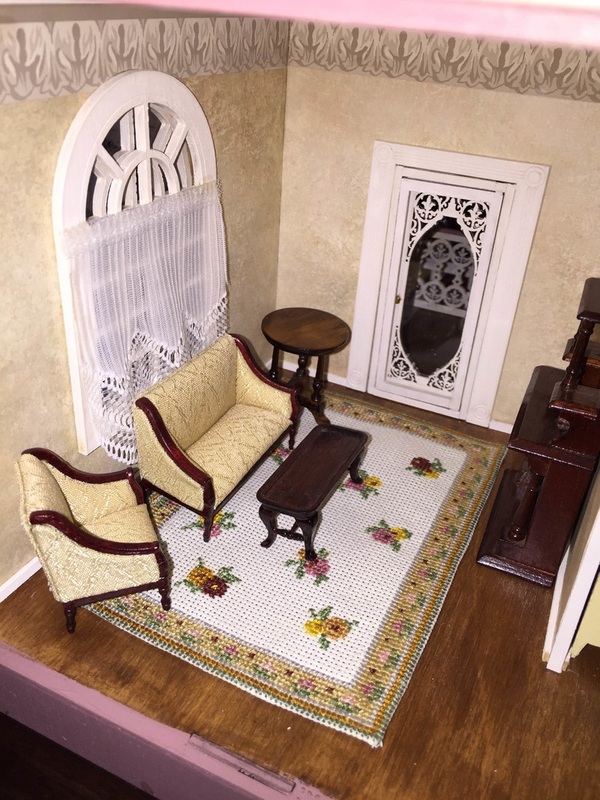 The kits come without instructions, but they are downloadable from the company's website. 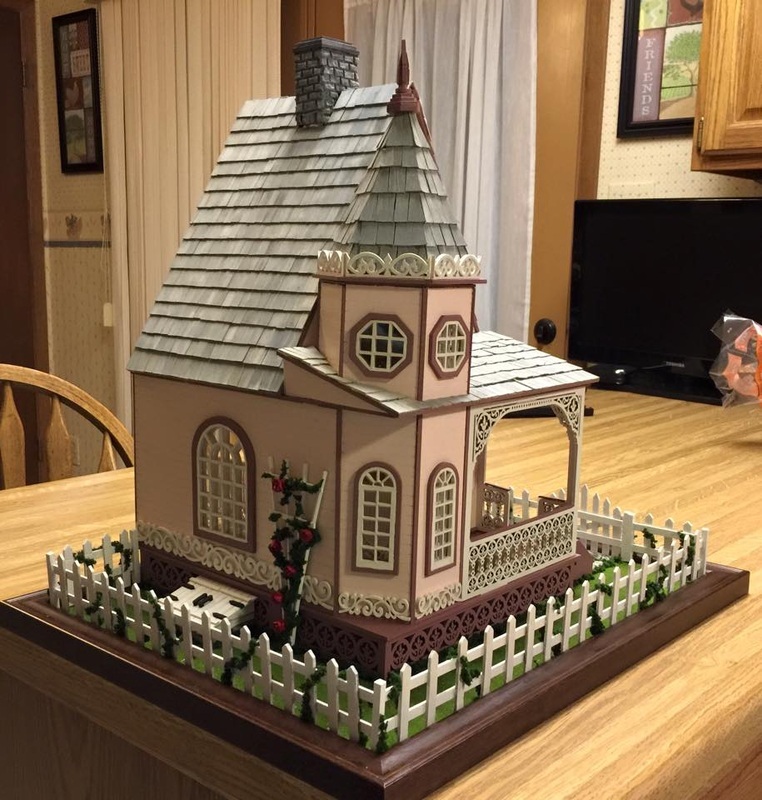 This kit is overloaded with gingerbread trim. 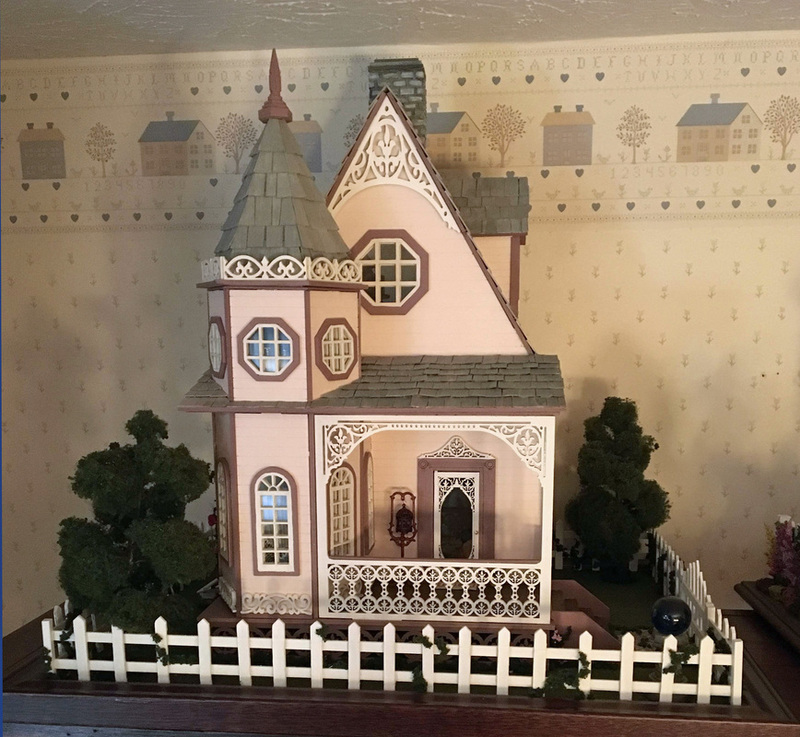 Usually, I leave off this type of trim, but it seemed to fit the house. 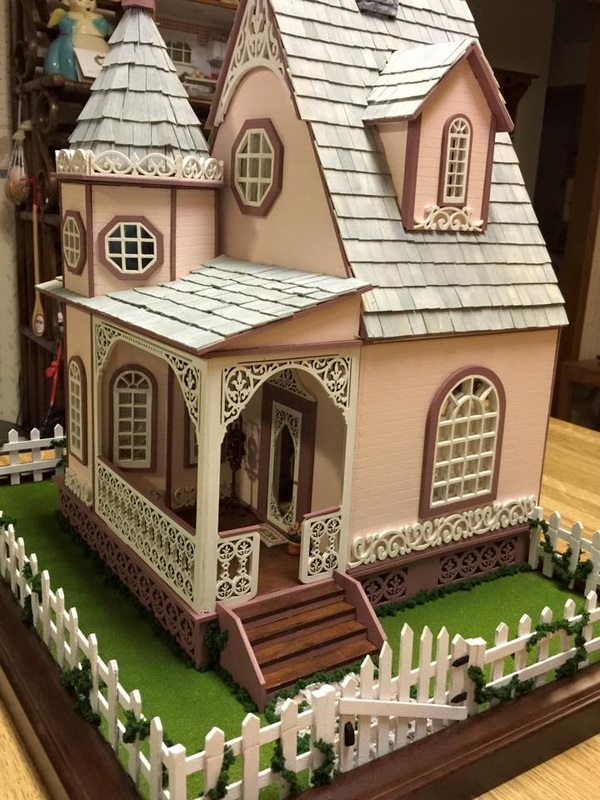 Even at that, I did leave off a couple of roof pitch trims. 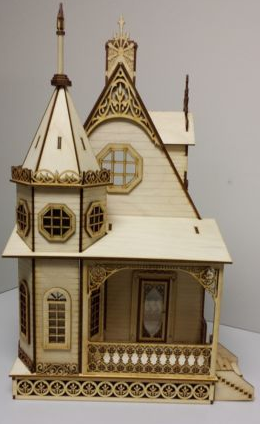 It was necessary to add trim where walls on the tower connect and around the structure of the house. 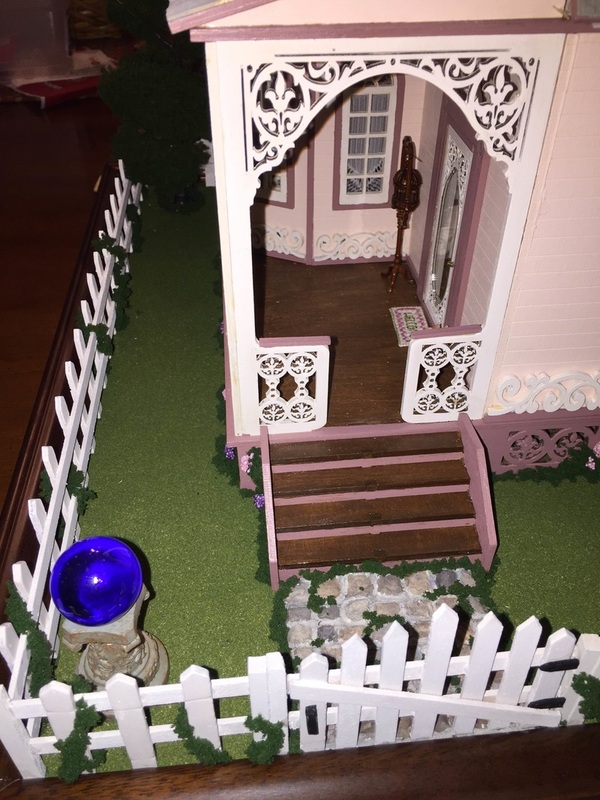 Landscaping has started. 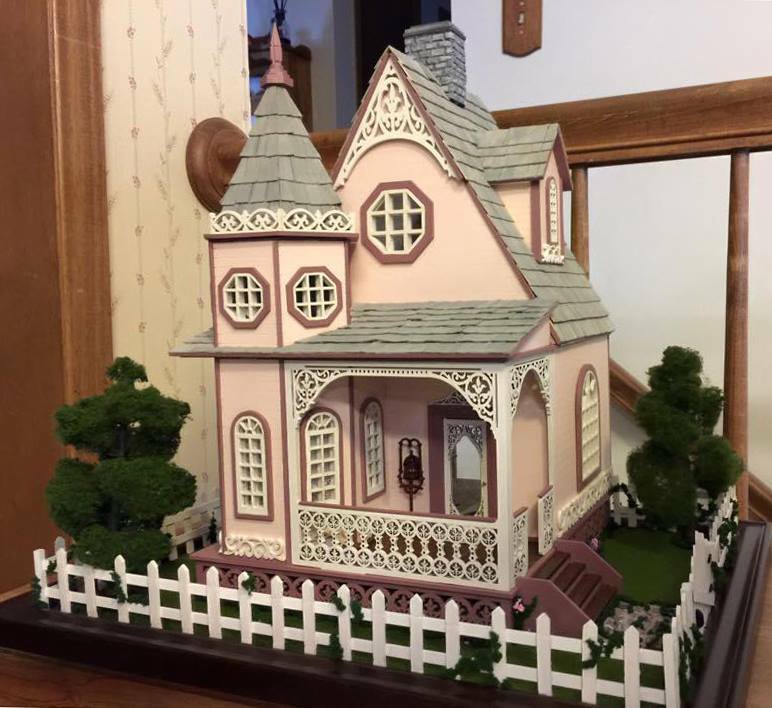 The house sits on a 14x18 picture frame, an idea shared by the dollhouse artist, Tracy Topps. 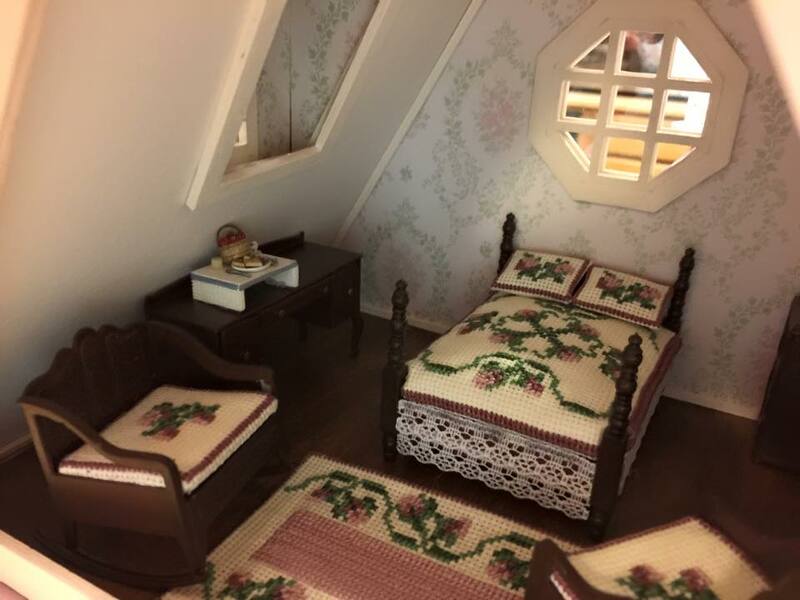 There are only three rooms inside. 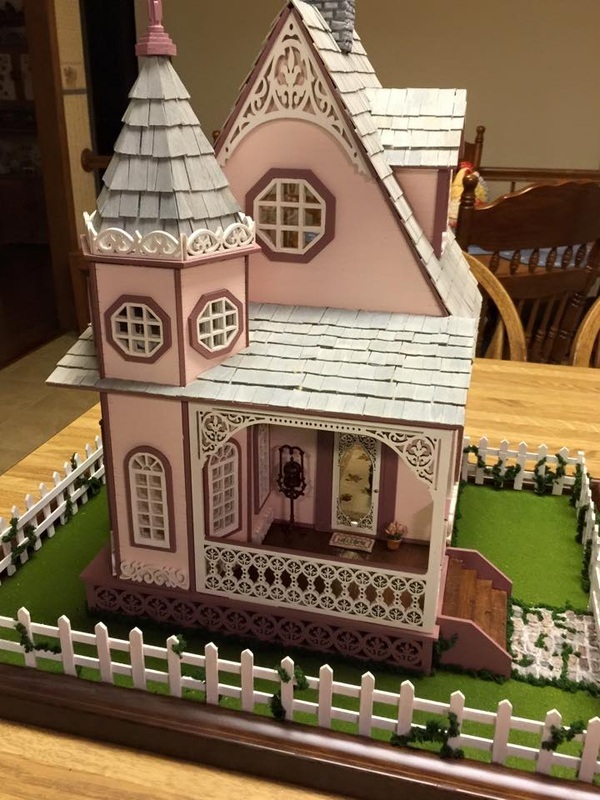 I plan to make some other pieces to add to the decor.